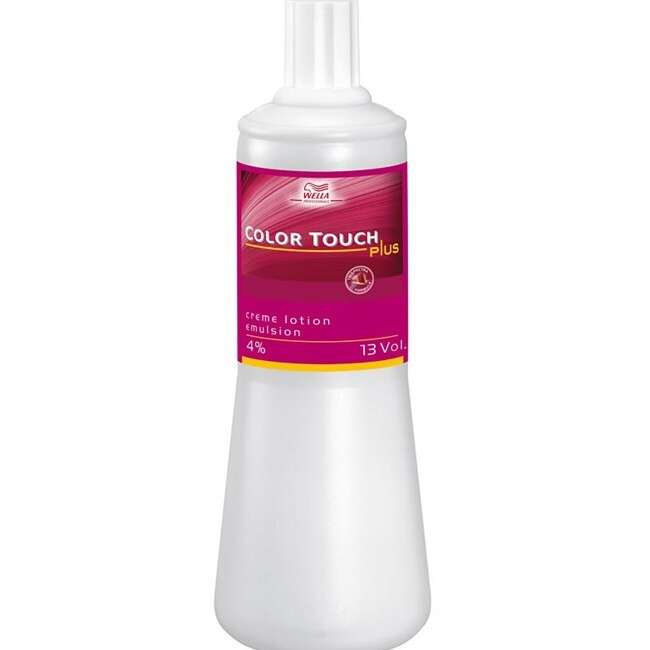 Colour becomes even more intensive with the Colour Touch Plus Emulsion by WellaThe Colour Touch Plus. 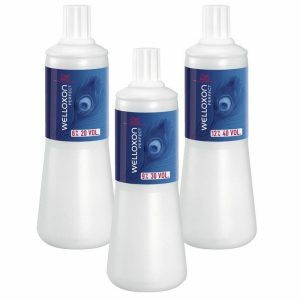 Emulsion by Wella contains 4 % peroxide and has been especially developed to further intensify the TriSpectra colour. 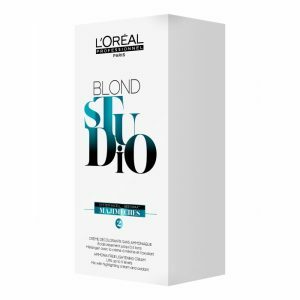 The developer is suited for all types of hair and is able to draw all colour pigments and reflectionsout of any colour. The Wella Emulsion can be particularly easily mixed because the texture is like that of a lotion. Due to the peroxide, you should naturally take care to avoid skin and eye contact when mixing. The Colour Touch Plus Emulsion is best blended in a plastic bowl. 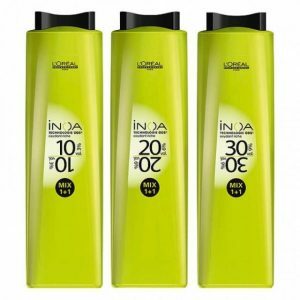 Apply the mixture immediately afterwards and after the previously mentioned effective time, simply wash out the hair. The synergy between developer and colour leads to a perfect result that is long lasting. 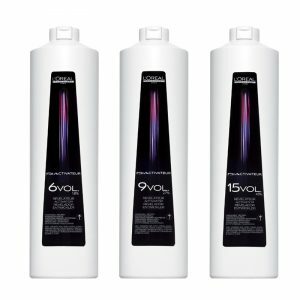 The Wella Professionals Color Touch Plus activating emulsion is an essential tool for permanent and semi-permanent hair dyes.